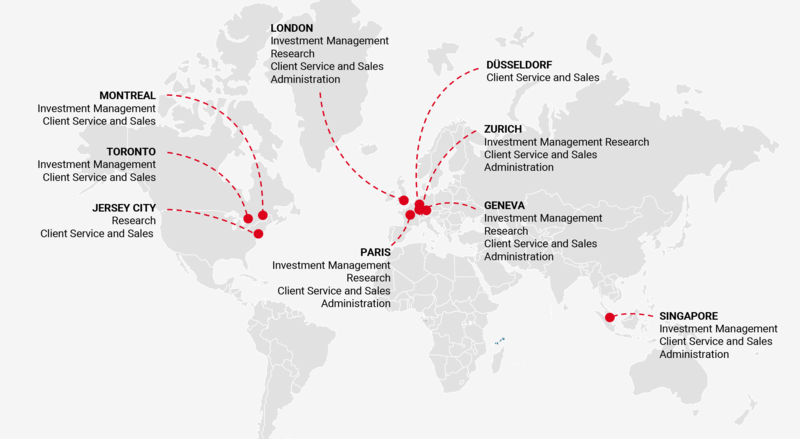 Headquartered in Geneva, Unigestion has a global presence, with offices across Europe, North America and Asia. We believe a local presence and on-the-ground knowledge gives us the insight, scale and understanding to uncover the best investment opportunities, and the reach to service our clients, wherever they are. The entity is regulated by the Swiss Financial Market Supervisory Authority (FINMA). The entity is authorised and regulated by the Financial Conduct Authority (FCA) and registered with the Securities and Exchange Commission (SEC). The entity is regulated by the “Autorité des Marchés Financiers” (AMF). Co-regulated by the Autorité des Marchés Financiers (AMF) and the Bundesanstalt für Finanzdienstleistungsaufsicht (BAFIN). The entity is regulated in Canada by the securities regulatory authorities in the following provinces where it carries on business: Ontario, Quebec; Alberta, Manitoba, Saskatchewan, Nova Scotia, New Brunswick and British Columbia. Its principal regulator is the Ontario Securities Commission. The entity is regulated in Singapore by the MAS, as Capital Market Services (CMS) license holder and Exempt Financial Adviser under the Securities and Futures Act and Financial Advisers Act.